What is your Home's Resale Value? 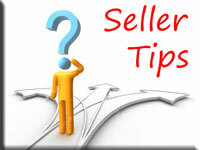 Are you thinking about selling? Would you like to know what your home's CURRENT resale value is in today's Atlanta real estate market? Click here for your FREE home (CMA) Competitive Market Analysis provided by the Diane E. Kelly Team with Keller Williams North Atlanta Realty. There is NO obligation whatsoever...it is FREE! 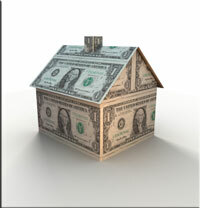 Selling your home is one of the most important financial transaction in your life. For many people, their home is one of their largest assets. If you are seriously considering selling your home make sure you are ready to compete in the North Atlanta market! Click here for tips that will start you off on the right foot saving you time and money. Are you upside down with your mortgage, owing more than your home is worth and can't sell? Are you in difficult financial straits struggling to make your mortgage payments or missed a few payments and are in a position that you must sell but can't? The absolute worse thing you could do is nothing. DO NOT give up hope! Click here to learn about several viable options that have helped other clients and could possibly help you! The Best Home's Sell First! Save valuable time and money! If you are considering selling your home, these Seller Reports are a must have...and they are FREE! Click here to receive FREE reports that tell you how to prepare your home for a quick sale and what it takes to get top dollar in the North Atlanta real estate market.